Zinc is one of those minerals that perhaps isn’t in the spotlight as much as others. Many of us are actually walking around with symptoms of zinc deficiency without even knowing it! However, zinc is a really important part of your diet and can provide a real boost to your health. This clever mineral is an integral cog of so many functions in our bodies. Think of it like the oil in your car engine. If it’s running low, you’ll still be able to function, but you’ll be much less efficient and more likely to burn out early. Dr Farmah knows all about zinc and has answered all the key questions below, while you can also join the conversation on Instagram and use #KnowYourABC to learn more about other vitamins and minerals. So, what does zinc do? Supports growth - Zinc supports the production of new cells and enzymes in your body. Helps with wound healing - Zinc helps maintain your skin cells and protects your immune system from infection, which speeds up your recovery time. Some wound dressings even contain zinc. Speeds up metabolism - Zinc stimulates your pituitary gland, which in turn triggers the production of thyroid stimulating hormone (TSH). This allows your body to process protein, fat and carbs more easily. Improves prostate function - The prostate has the highest zinc concentration of all your organs. 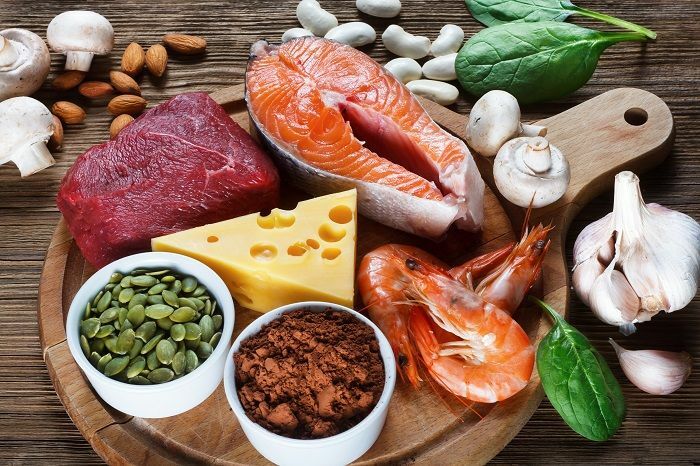 It’s there to regulate your hormonal balance, and researchers are currently looking into the possibility that zinc could help prevent or treat prostate cancer. Maintains sperm count - A 2009 study discovered a high concentration of zinc in the testes during sperm production, while it was also found to improve sperm motility. Please note some people will have problems with absorbing zinc. If you’re doing all the right things but still experiencing these symptoms, please see your GP. How can you top up your zinc levels? I always advocate getting your vitamins and minerals from a balanced diet full of micronutrient-dense foods. In my opinion, getting all our minerals from whole foods means we not only boost our mineral intake, but also enforce an overall healthy lifestyle. As you can see, getting enough zinc in your diet doesn’t need to be any more complex than whipping up a spinach and mushroom omelette. Now that you’re equipped with the knowledge you need, remember that it’s always better to make small, sustainable lifestyle changes to support your health.